This famous spiral galaxy in the constellation of Andromeda is located approximately 2.5 million light-years away from us. 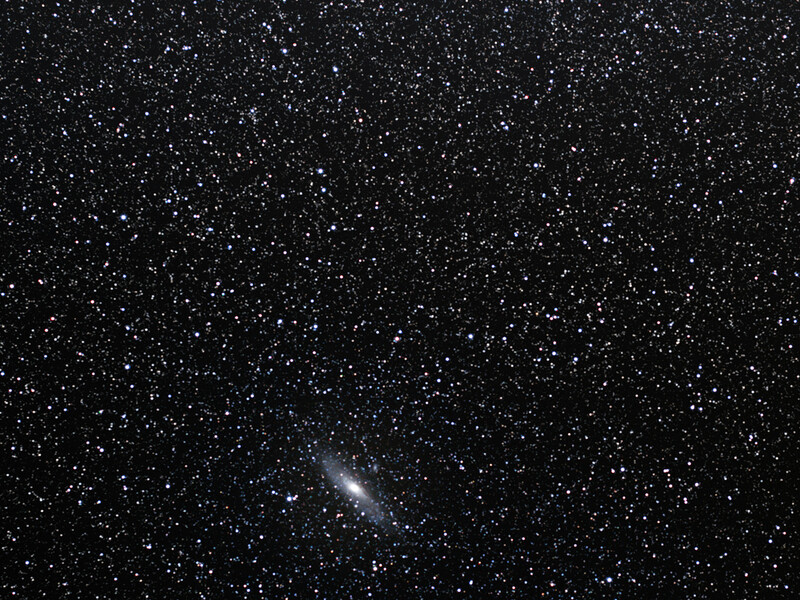 Under a perfectly clear and dark sky, it can just be visible to the unaided eye. The Andromeda Galaxy is the largest member of the Local Group of galaxies, with one million million stars contained within a 220,000 light-year-wide disc, greatly exceeding the number of stars in our Milky Way. It is the nearest spiral galaxy to our own and has become the most studied “external” galaxy so far. On 19 August 1885, the only recorded supernova in the Andromeda Galaxy took place when a star, now known as S Andromedae, destroyed itself in a convulsive explosion. 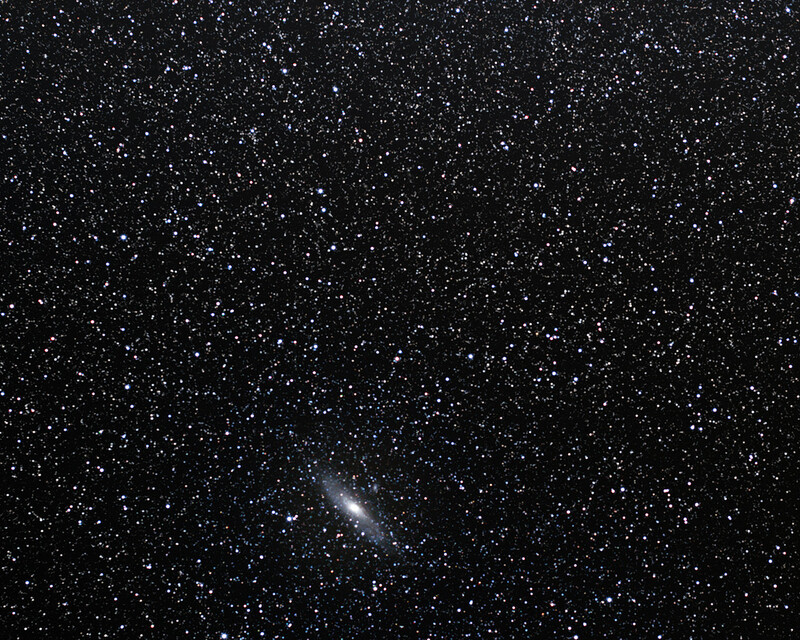 About 14 dwarf galaxies orbit Andromeda, making it a very busy neighbourhood. The Andromeda Galaxy is approaching our Milky Way at the speed of about 400,000 kilometres per hour, and in about 2–3 billion years, the galaxies will pass through one another, although gravitational interactions will alter the appearance of both galaxies dramatically. The astronomer Edwin Hubble was the first to find Cepheid variable stars on astronomical photos of the Andromeda Galaxy, which enabled him to measure the distance to the galaxy. His measurements demonstrated that the Andromeda Galaxy was not a cluster of stars and gas within our Milky Way, but an entirely separate galaxy located at a significant distance from our own. 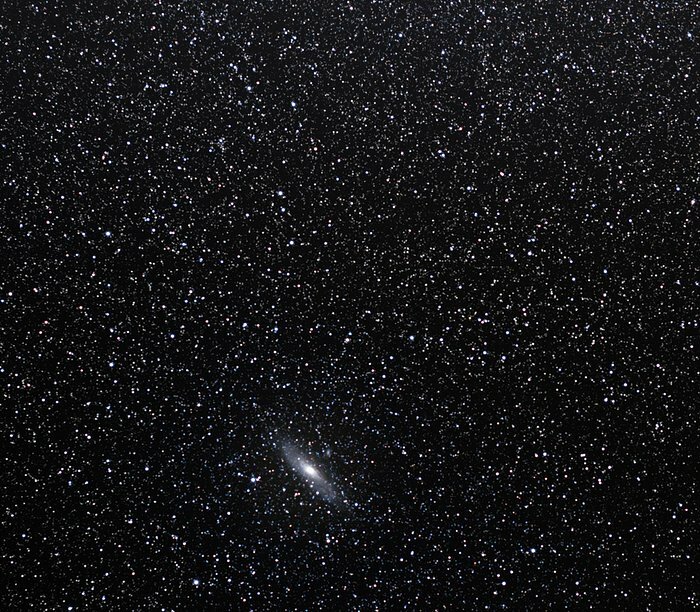 The Persian astronomer Abd al-Rahman al-Sufi first mentioned the Andromeda Galaxy in AD 964 in his Book of Fixed Stars, describing it as a “small cloud”. 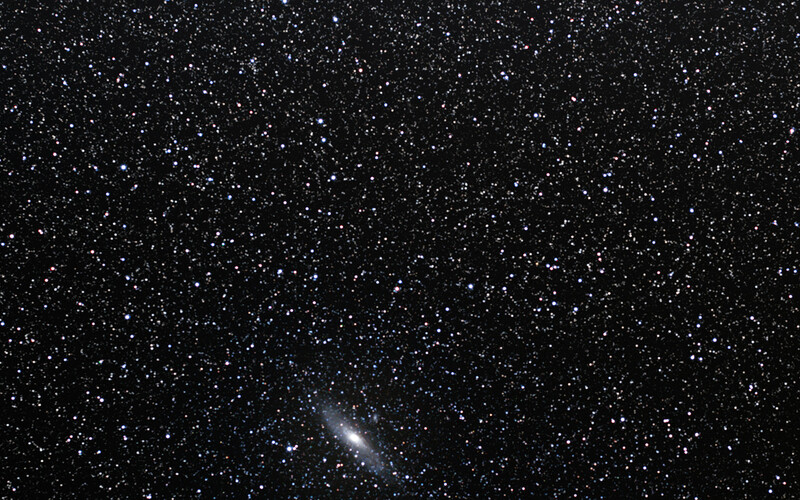 Charles Messier, the famous French comet hunter, recorded the Andromeda Galaxy as object number 31 in his famous catalogue in 1764. It is also entry number 224 in the New General Catalogue (NGC 224). A curious fact is that the brightest of the globular clusters — dense spherical star groupings — in the Andromeda Galaxy outshines the Milky Way’s own most luminous globular cluster, Omega Centauri.